Happy Jacq's, a pretty place that serves fried ham sandwich which reminds me somewhat of a Monte Cristo. The menu crosses over from Filipino to Italian to American sandwiches and desserts. Nicely decorated interior, colorful, a hodgepodge of colorful urban, mid century details. Prices are reasonable and some items are notably tasty. 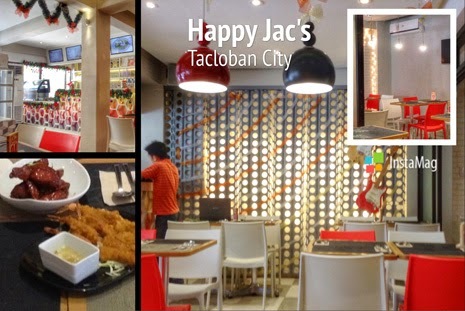 Happy Jacq's is located in MH del Pilar, Tacloban City; in the marquee it states they are a croissant place as well but I am yet to have one there. The coffee though is very well done and that's why I keep on coming back!